The British educational system learned me to write: my teachers insisted on essays even in middle school. Formed by that experience, I avoided multiple choice tests in college, preferring classes where I could write sentences instead of color in boxes; I took the thesis option instead of course work in grad school, too. Intrigued enough to dabble outside the classroom, I sold an essay to a Sunday School paper just before our first child was born. From then on, I was hooked. A while later, a friend mentioned the need for a commentary on Matthew as part of a series Victor Books was producing. Another writer had bailed, the deadline was looming–was I interested? Yes. And with Follow the Leader, my first full-length book went to print. Two more books were published by Baker several years after that…. A friend says the Minor Prophets are in the Bible’s ‘white pages’–that section where few venture. Which is a shame, given all that’s packed into these short books: Jonah learns about grace, Haggai clarifies priorities, Habakkuk asks the big questions about worship and intentions–the list goes on. That made Unexpected Wisdom a total delight to write: lots of puzzles to ‘solve’, mysteries to explore, paradoxes to face, and a whole raft of ideas that leapt from the text. How amazing to discover the potency of work produced many centuries ago! The book continues to be used by individuals and study groups wanting to explore these wonderful, but too often neglected, stories and sermons. 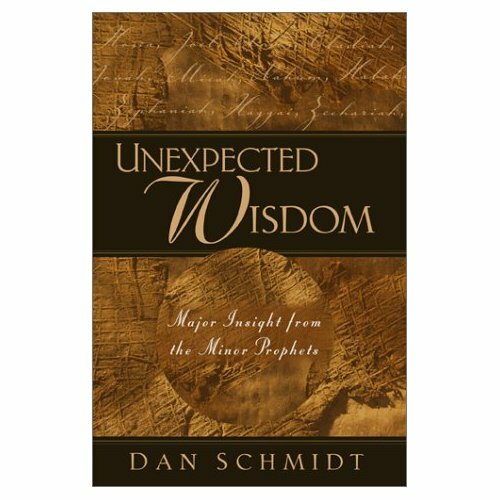 In this penetrating book, God’s wisdom for our own lives of faith is spelled out with clarity and compassion. When Paul wrote back to his friends at Corinth, he wanted to pass along something he had received from the Lord–an emphasis on the bread and cup of early Christian worship. Taken by Communion moves slowly through Paul’s teaching in 1 Corinthians 11, pausing at each phrase to consider its impact for those approaching the Lord’s table. The point is not to settle on the ‘right’ way to ‘do’ communion, but rather to reflect on the One who poured Himself out for people, and to consider what it means to be aligned with the Lord. After all, when we celebrate the eucharist, we are not ‘taking’ something so much as receiving; we are freshly aware that the Lord of grace means to keep filling us. 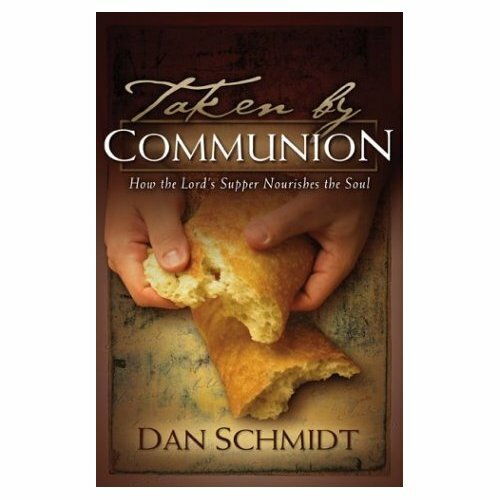 Dan Schmidt calls us to give ourselves to communion as we were meant to–slowly. We’re reminded that true communion can become something we don’t simply consume, but that consumes us. Copies of these books are available ($7 for Follow and $10 each for Taken and Unexpected; includes shipping) by contacting me at toucanic@aol.com.